Adorable corner lot home with a gas fire place. Nice 40ft x 30ft patio that would make a perfect home for a boat or a RV. 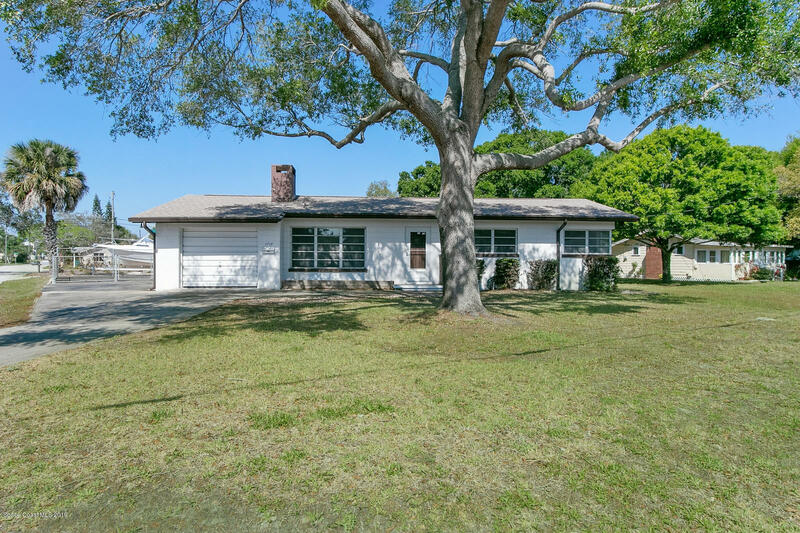 This well maintained concrete block home features a one car garage, newer roof (2018), newer 15 SEER AC (2015), newer laminate flooring in the kitchen and under air washer and drier. Shed in the backyard would make a nice little workshop. Terrazzo flooring is under the carpet and laminate flooring. Easy access to Beaches, shopping and major highways.